The Commodity Futures Trading Commission (CFTC) has determined that virtual currency futures and options meet the definition of a “commodity” within the agency’s regulatory purview. Although transactions in virtual currency commodities must be conducted in compliance with provisions of the Commodity Exchange Act (CEA) and CFTC Regulations, it may be possible to conduct these transactions under a “trade option” exemption. Proper disclosure, CFTC filing, and a competent advocate can help your initial coin offering (ICO) comply with federal regulators like the CFTC. An alphabet soup of regulators now regulates virtual currencies, ICOs, and virtual currency options and futures. The CFTC, for one, has jumped into the fray by prosecuting virtual currency options and futures traders for failing to register, file the appropriate disclosures, and pursue whatever exemptions may be available. An entrepreneur should not have to worry about another agency seeking fines, penalties, and injunctions against a new currency or exchange. Fortunately, Alliance Law Firm International is here to ease the burden. San Francisco-based entrepreneur, engineer, and programmer Francisco Riordan founded a company called Coinflip, through which he advertised and sold Bitcoin futures and options, which were pinned to the U.S. dollar. Purchases were made by signing up for an account on a subsidiary’s website (Derivabit) and depositing Bitcoin. From there, the user could bid on contracts, exchange Bitcoin to fulfill their obligations, and see bids, offers, and swaps others were making. Roughly 400 people used the site from March to July 2014. Riordan controlled Coinflip and Derivabit and had power over all aspects of this platform. • Individuals satisfying several other sections of the CEA. In addition, the CEA regulations also exempt a “producer, processor, or commercial user of, or a merchant handling the commodity,” who has a reasonable basis to believe that the party to which they are offering a swap is also a “producer, processor, or commercial user of, or a merchant handling the commodity that is the subject of the commodity option transaction, or the products or by-products thereof. The party to whom the swap is offered must also be offered (or entering into the commodity option transaction) solely for purposes related to its business as such. 17 CFR Sections 32.3(a)(1) and(a)(2). 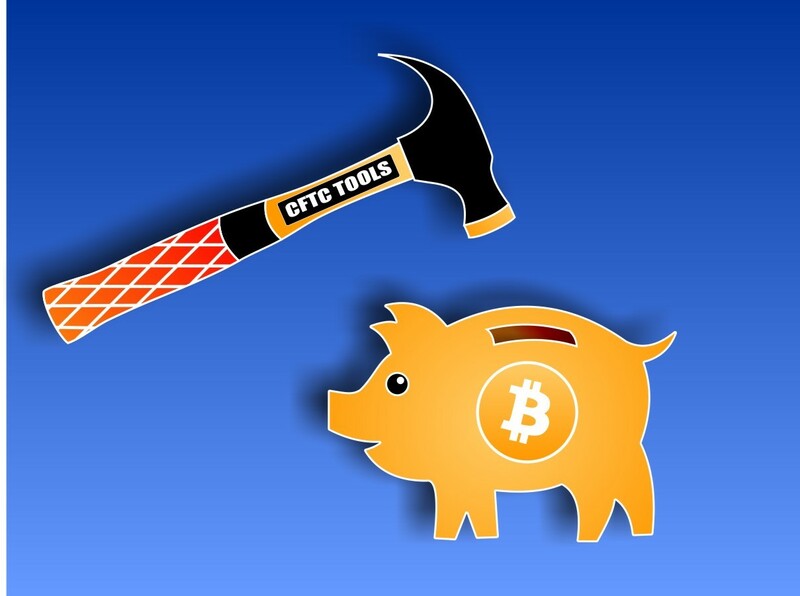 The CFTC concluded that Riordan bore liability for Coinflip’s violations. As the programmer, he exercised control over the company. It traded virtual currency futures and options without registering or securing an exemption from the CEA. Although Riordan was not fined, he was required to waive a long list of rights and agreed to an equally long list of demands by the CFTC. More specifically, Riordan stipulated to the CFTC’s jurisdiction over his virtual currency trading and waived his double jeopardy defense to future fines and penalties based on this judgment against him. He also had to stop trading Bitcoin options and futures and agreed to cooperate with the CFTC in the future. While this penalty includes no fines, Riordan surely had legal expenses, he is open to future expense and may dedicate additional time to working with the CFTC. Any of his own future violations will certainly carry monetary penalties. Conclusion: Fintech companies face the prospect of strict enforcement actions by federal regulators for new and innovative business models, such as Bitcoin futures trading. Competent advisors can help entrepreneurs plan and comply with a number of state and federal regulators. While professional assistance may increase costs up front, an ounce of planning is worth a pound of cure.